So here we go again! Oh yeah, it’s a covers episode. No, no, no, don’t let that scare you off! It’s ska covering ska! I mean that’s pretty neat, right? There was a ton of stuff out there for this episode, but I’ve played those songs before. Not going to lie, I thought it was going to be a challenge to find 23mins worth of songs that fit that theme that I hadn’t played before… I was wrong! This came together quite easily! Hell yeah! 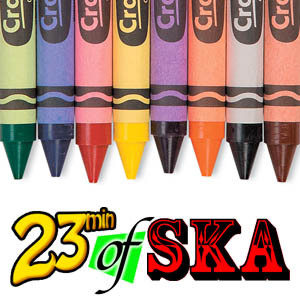 Good ska all the way around! Enjoy! Did you ever hear about the theory that when the sunspots on the Sun go nuts every 11 years that it has an effect on human culture? At one end of the cycle we, as a society are more manic, and at the other end we’re more mellow? And that at the zenith point of each there is an increase in creative activity that reflects the zeitgeist? It’s a fun theory, as far as theories go. Something to think about. Now enjoy a bunch of songs about the Sun. Bringing you the best blue beat since 2010! 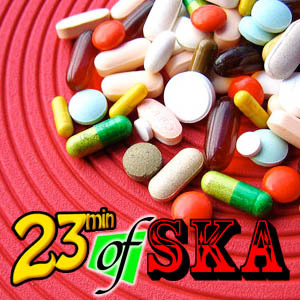 Here’s another episode bursting at the seems with bouncing ska action! Brilliant bands like these deserve to be heard and blasted out of every boom box on the block. Now, banging out these episodes week after bloody week can drive one’s brain a bit mad, but fear not, the beginning of the end isn’t even in sight. Be well, my beautiful listeners!